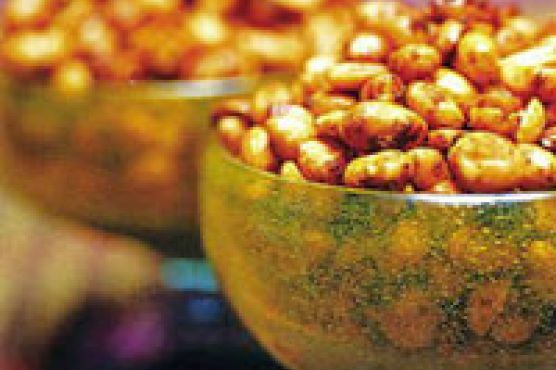 Toss the peanuts with the remaining ingredients in a bowl or on a rimmed baking sheet until the nuts are evenly coated. The peanuts may look wet at this point �?? that�? ?s just fine. Spread the peanuts in an even layer on a large rimmed baking sheet. Bake until the coating is dry and the spices are lightly toasted, about 30 minutes.